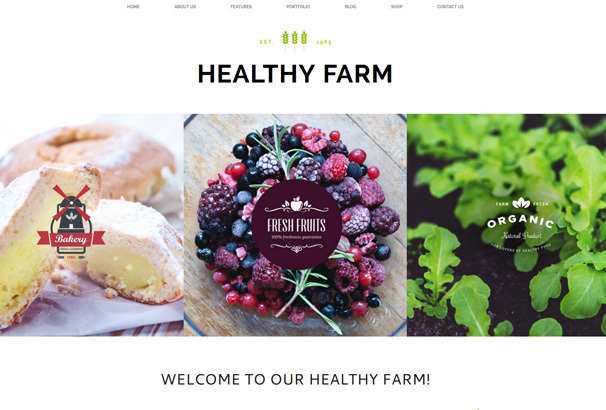 If you have a farming or agricultural related business and would like to create your own website or give your existing website a facelift then this collection is for you – we have gathered together over 30 WordPress themes which have all been designed with farms, agriculture, organic businesses, farm food shops, organic foods, grocery stores and other related businesses in mind. WordPress is a great choice of CMS for all types of websites for small businesses, bloggers and portfolio websites because it’s easy to use, free to download and you can expand it’s capabilities with a range of different themes and plugins. We have only chosen themes with modern well designed templates, they are all responsive which means they will look good on desktop screens, tablets and mobiles. They are also easy to customize by adding your own logos and photography so you can really make them your own. 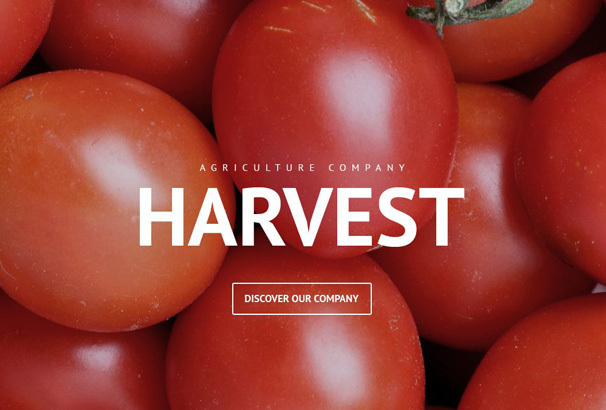 Harvest is an impeccable WordPress theme that is well suited for farming, gardening, agriculture, and crop cultivation websites. Its design is highly customizable, very easy to set up, allowing you to create a friendly view for your visitors. It comes with full responsiveness, Parallax scrolling, drag and drop content, blog, portfolio, commenting system, social options, and more. This is a very engaging template, with an excellent use of colors, intuitive design, great pictures and color options. The theme was specially built for farmland owners, public sector units, and various agro-based industries. Jorden provides excellent theme options, unlimited shortcodes, sidebars, and widgets. Each and every detail in this template was carefully designed to give your audience a top-notch user experience. 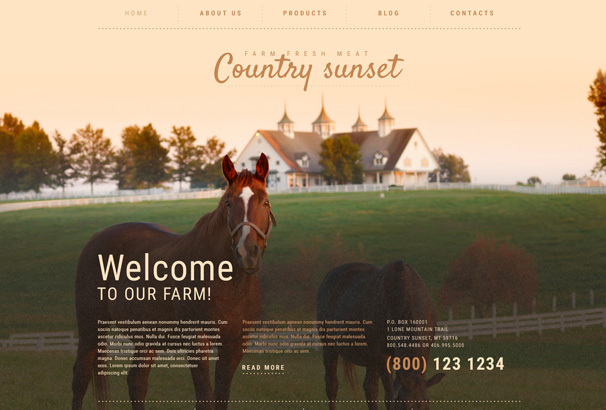 Country Sunset serves best for showcasing your agriculture and farming services in a classy, retro style. It is widgetized, fully responsible, and flexible. 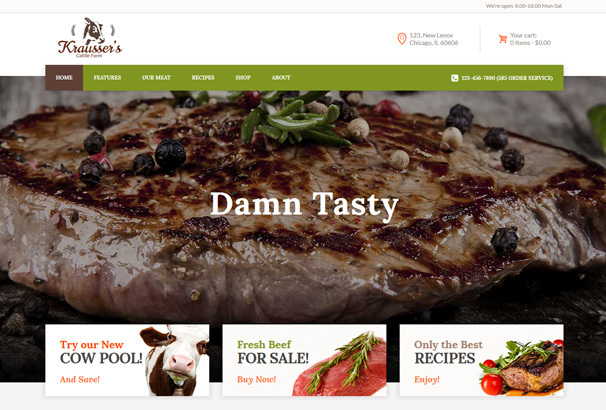 If you are on a lookout for a highly advanced farming theme, Farm Fresh Meats will offer amazing features, clean graphics, images, legible typography, and SEO-friendly layouts. Your visitors will seamlessly navigate through your website, enjoying its fully responsive layout. 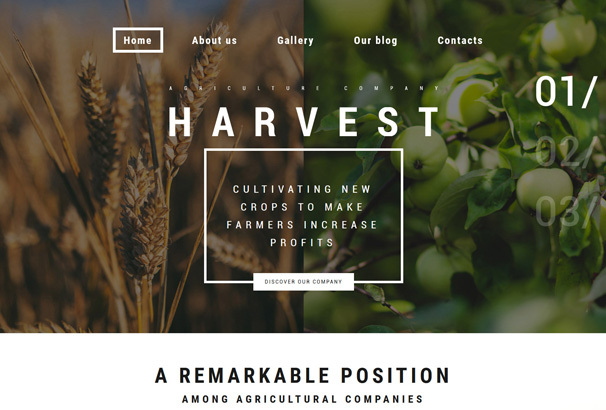 Agriculture Company is a brilliant WordPress theme for Agroforestry, Monoculture Fertilizing Productions, Agroecology Services, and much more. It is packed with clean layouts, cutting-edge functionalities, hover effects, sliced PSD, crossbrowser functionality, blog, portfolio, contact form, calendar, audio player, and video integration. 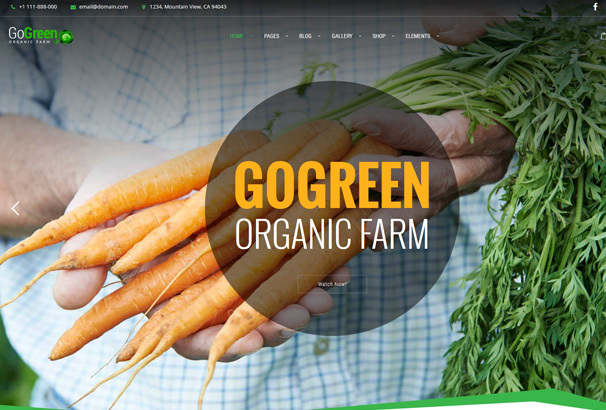 Crop Farming is a fresh and clean template that was specifically designed to help you build an agriculture website. It has some of the best plugins and other useful components that will help you add banner sections, slideshows, image-rich designs, and widgets. 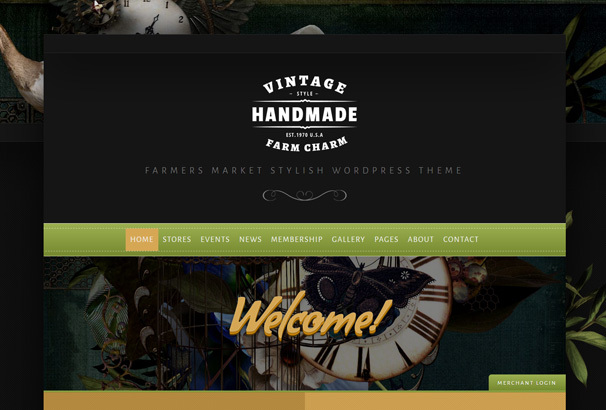 This is a theme that will elevate any kind of agricultural website. You can easily drag and drop pieces of content around pages, add calendars, blog, portfolio, contact form, Google map, and more! 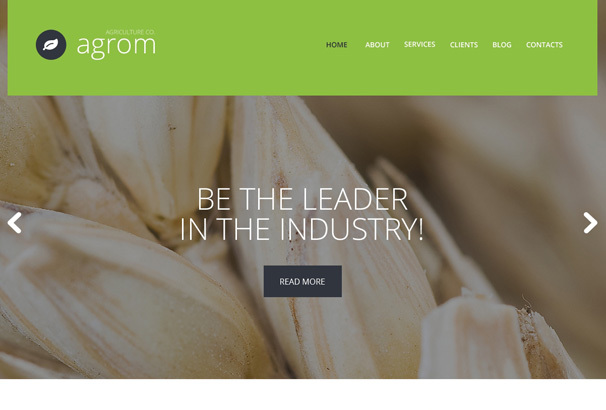 Agrom is a modern and feature-rich agricultural theme for WordPress that allows you to showcase your products online, in a friendly and engaging manner. The theme includes various features, it is easy to set up, well documented and highly intuitive. 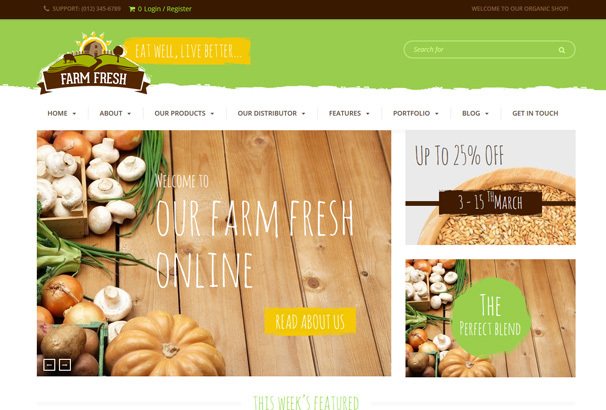 If you are running an agriculture business, this WordPress theme might be a good option for your website. It has almost all the necessary options to create an outstanding site fast, with no coding skills. 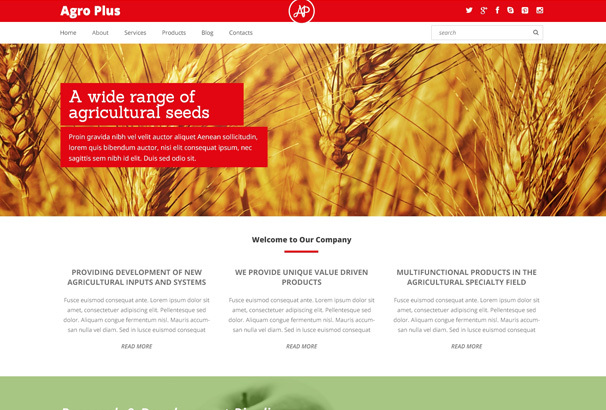 Agro Plus is 100% responsive, fully editable, multilingual ready, and SEO ready. 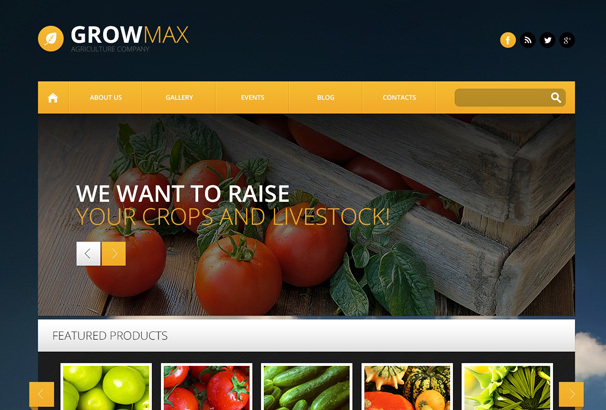 If you are looking for a WordPress theme that will make complex things easier, then Grow Max is perfect for you! 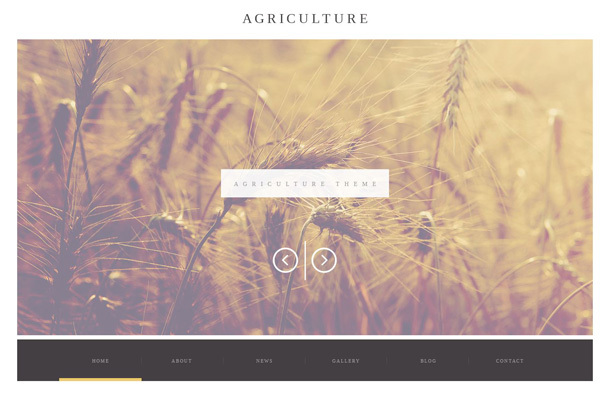 This agriculture theme is packed with showcase images, 2 sliders, widgetized areas, multiple theme options, calendar, dropdown menu, social options, audio player, video integration, contact form, blog, and portfolio. LT Agriculture is an ideal theme for promoting organing farming, home growers, and agriculture based businesses. The theme is fully responsive, adapting to each and every small device resolution. Besides that, it has unlimited color schemes, strong drag and drop content with LayerWP, unlimited template features, mobile support, perpetual theme updates, and a catchy design. 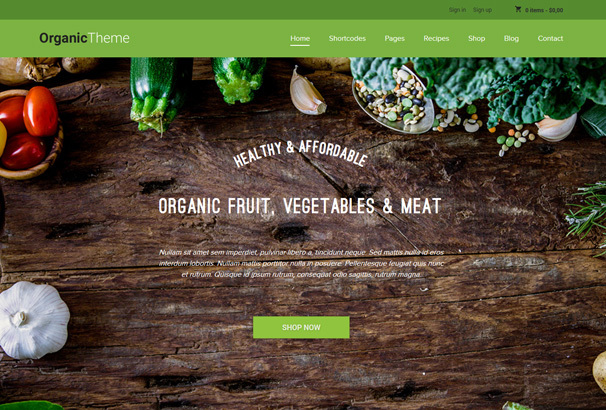 An agriculture theme for organic farm centers, home growers, food retail and farmers. Food farm is easy to customize, allowing you to classify the agriculture services that you are offering. It is fast, user-friendly, dynamic, reliable, and most important, feature-rich! 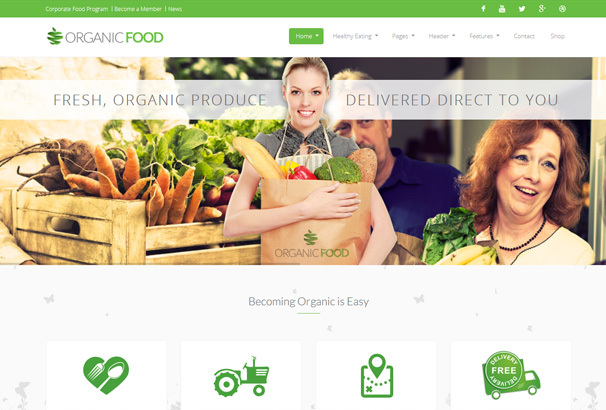 This theme is best for promoting organic food, lawn services, horticulture, gardening, and such agriculture related online businesses. 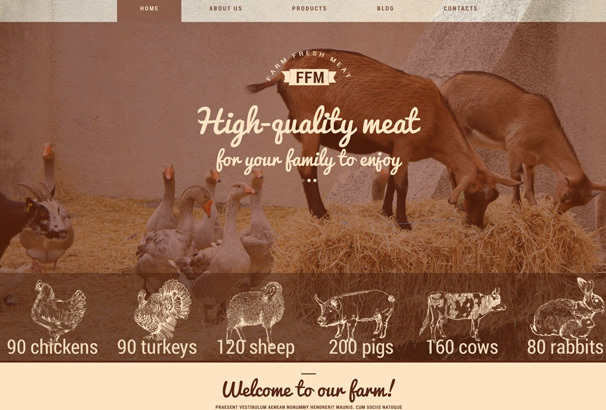 Organic Farm Theme is powerful, yet easy to customize and use, it does not require any coding skills at all. Kraussers Farm comes packed with lots of reliable features like Visual Composer & Shortcodes, Mobile Device Optimization, Revolution & Swiper Slider, SEO Optimization, Translation Options, Media Content Manager, WPML Plugin, Extensive Documentation, WooCommerce, and amazing support. 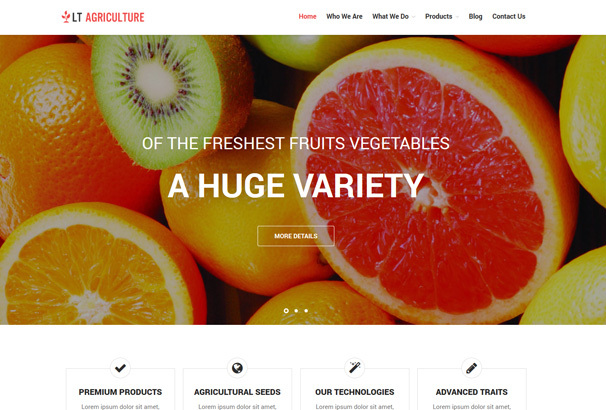 This user-friendly, agriculture theme is colorfully designed, looking amazing on any platform since it’s fully responsive and Retina Ready. It has a clean, flexible design, 6 homepage layouts, various menu & blog styles, child theme support, cross browser compatibility, navigation & translation options, widgets, performance optimization, and regular updates. 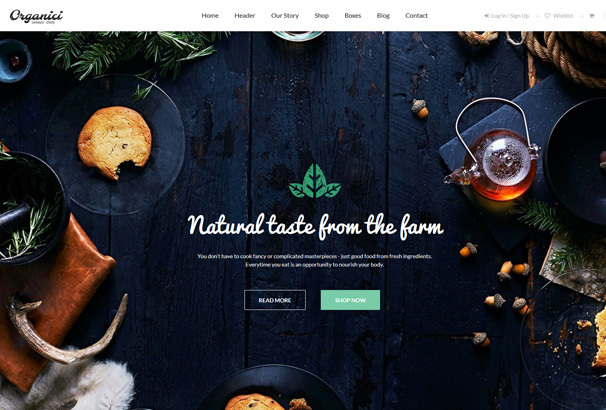 Farm Fresh is highly creative, colorful and charming WordPress theme that was specially crafted to give you a professional and sleek look which is perfect for business use. It is packed with plenty of customizable layout options such as Visual Composer, Mega Menu, WooCommerce, Custom Post Types, Multiple Media Sliders, Blog, Contact Form, and Parallax Effect. 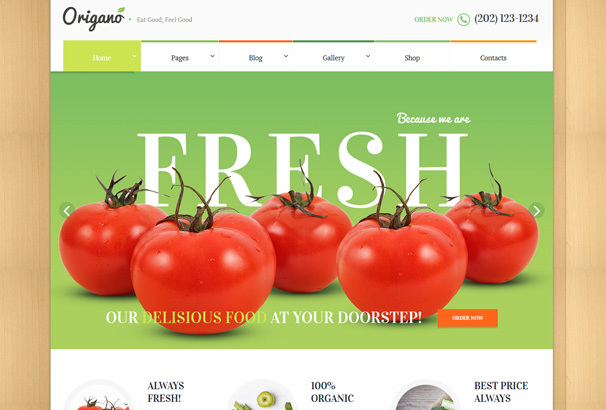 Origano WordPress theme is particularly outlined for agricultural businesses. Its multiple blog styles will allow you to actively engage your audience while showcasing your products in a captivating manner with WooCommerce. 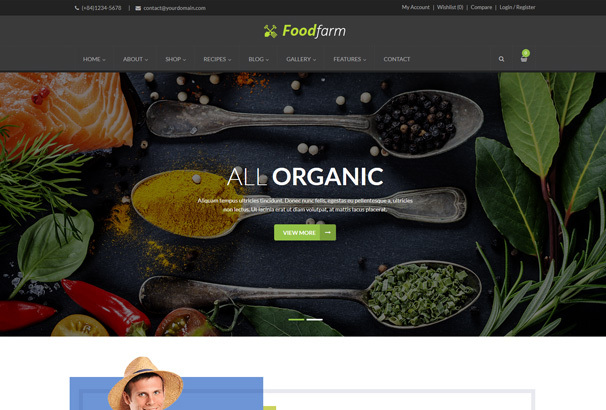 Farm Charm WordPress theme is made as a great answer for any agriculture, organic farming, horticultural business or agrarian business websites. Having a superb variety of page layouts, the theme helps you display your most important information in a stylish, clean, and informative way. Choose from a large set of layout options and speed up your website building process with Organici! This flexible and highly intuitive WordPress theme includes the latest features: 6 Home Variations, Special Boxes, WooCommerce, Mega Menu, Live Theme Customizer, One Click Demo, Unlimited Colors and Google Fonts, and much more! 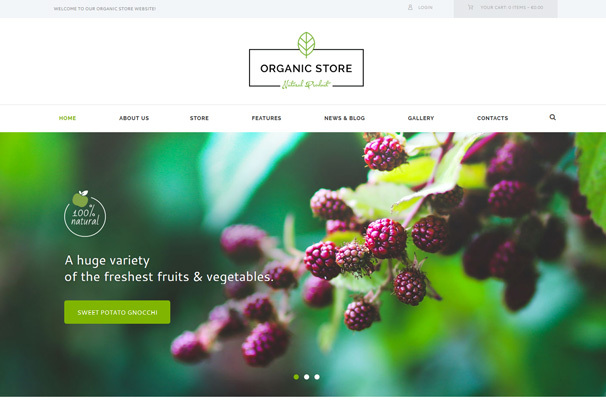 Organic Store is perfectly suitable for organic farms and agricultural businesses that need a colorful, catchy, and modern website. It gives you the opportunity to build amazing landing pages, without touching a single line of code. Plus, it’s highly customizable and reliable. 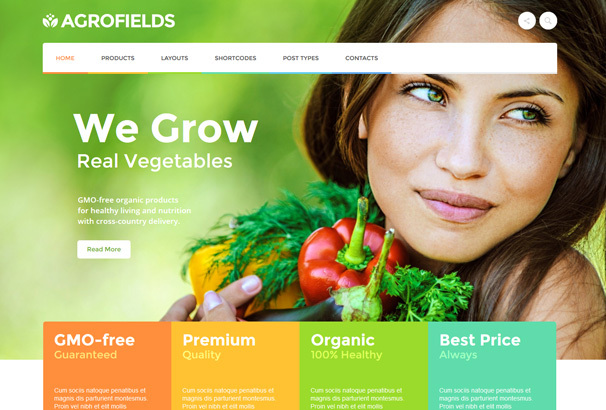 AgroFields offers brilliant designs for any agricultural company website. They will be able to display their services and products in a captivating way, using gorgeous designs that fit their style. 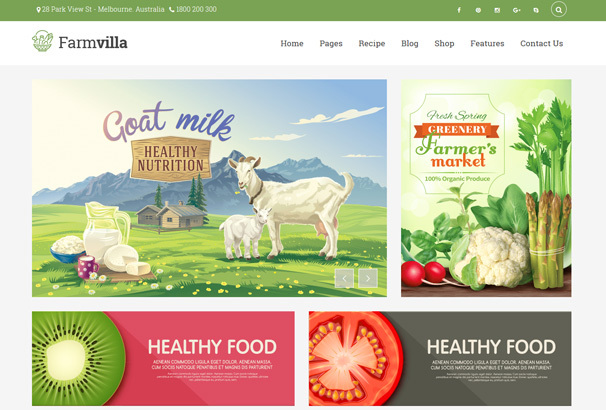 FarmVilla is a smart, intuitive, and flexible WordPress theme that is extremely well structured and tech-savvy. 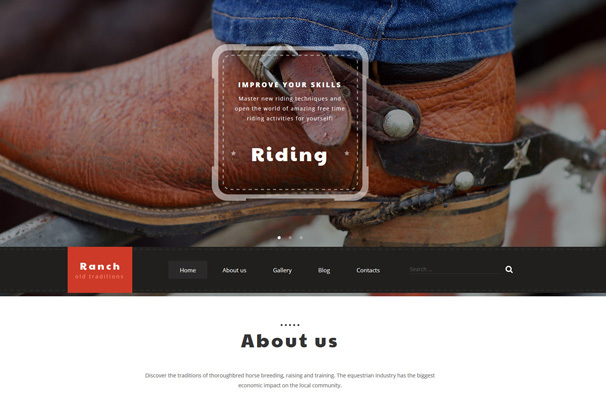 Its effective set of custom tools and widgets will allow any agriculture related business to build a great website in a matter of minutes and keep visitors coming back for more. Simple yet powerful, Organic Food is a perfect combination between awesome features and unique designs that offer performance and stability. 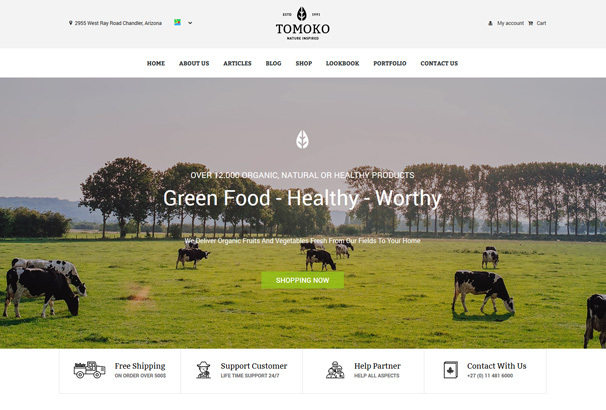 Tomoko has been designed to provide ideal scalability, effectiveness, and attractiveness for mass audience engagement. 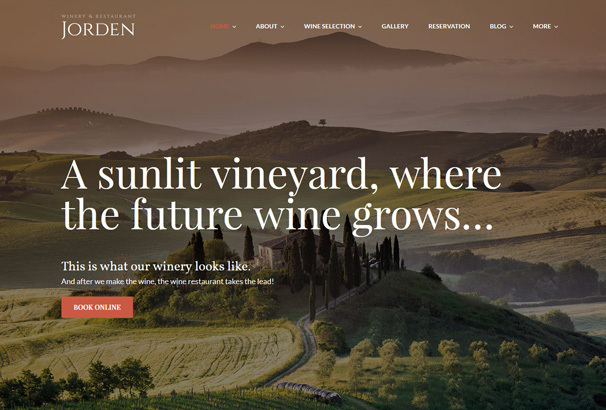 It is suitable for organic food stores, agriculture business or any farming businesses need a limitless range of possibilities when it comes to customizing their websites. GoGreen is truly expansive, with over 60 predefined pages, unlimited footer layouts, multiple title area options, smart theme options, one click demo import, AJAX live search, and drag & drop page builder that will let you transform your website with speed and ease. The theme comes with extensive documentation and 5-star support, in case you get stuck.